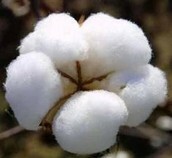 How Is Cotton Genetically Modified? 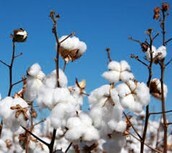 Cotton is genetically modified, because it it used to create a toxic called BT (toxin) that protects it against insect pesticide. More then 68% of china's cotton is genetically modified. BT cotton has made farmer's reduce the use of pesticide. 2. Can reduce crop damage from weeds, diseases and insects, which means herbicide applications are more precise or used more efficiently. 6. Can reduce costs and labor intensity for farmers.